Are you looking for a reliable check cashing bank? In an industry fraught with derisking, NCC is your partner for building your business income and expanding customer loyalty. Redundant banking for retail check cashing empowers you to offer accessible financial services at your store and grow your fee-based income stream. This is a smart business strategy for beauty shops, grocery stores and bodegas, gas stations, liquor stores, convenience stores, and restaurants looking to diversify their revenue. 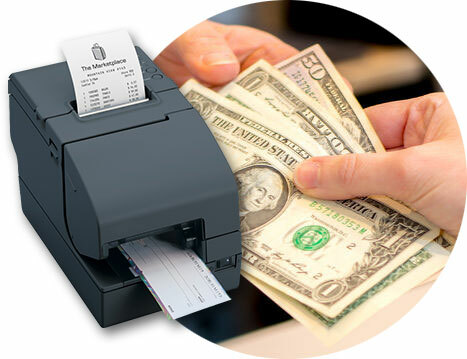 National Check and Currency equips small unregulated check cashers with check cashing banks, advanced POS technology, and industry-leading deposit turnaround. Additionally, NCC’s industry experts provide 24/7 support to ensure your success. Your retail business will reap the rewards of increased traffic, stronger customer loyalty, and revenue growth – all while serving your community. For businesses cashing checks under $1,000, NCC provides MSB friendly bank accounts and convenient check cashing services. Check cashing services can include paycheck cashing, money orders, travelers’ checks, and prepaid debit cards. Each of these services provides nontraditional banking for customers who don’t have access to a bank. With NCC, you can take advantage of the lucrative check cashing industry and protect yourself against fraud. Are you ready to grow your business with retail check cashing services? Learn more about the specific retail locations we serve below.